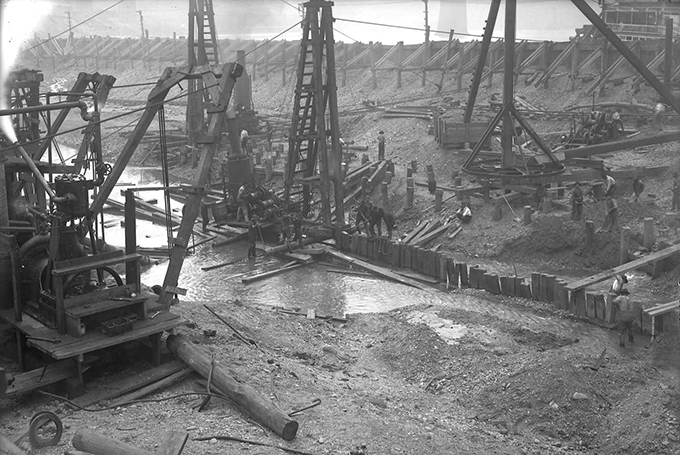 Driving piles and sheet-piles in middle cofferdam. Waterworks--Pennsylvania--Pittsburgh--Design and construction. ; Cofferdams--Pennsylvania--Pittsburgh--Design and construction. ; Blue collar workers--Pennsylvania--Pittsburgh. ; Lincoln-Lemington-Belmar (Pittsburgh, Pa.).